This sofa has some secrets. At least, it did before we stated prepping it for recovery on Friday. 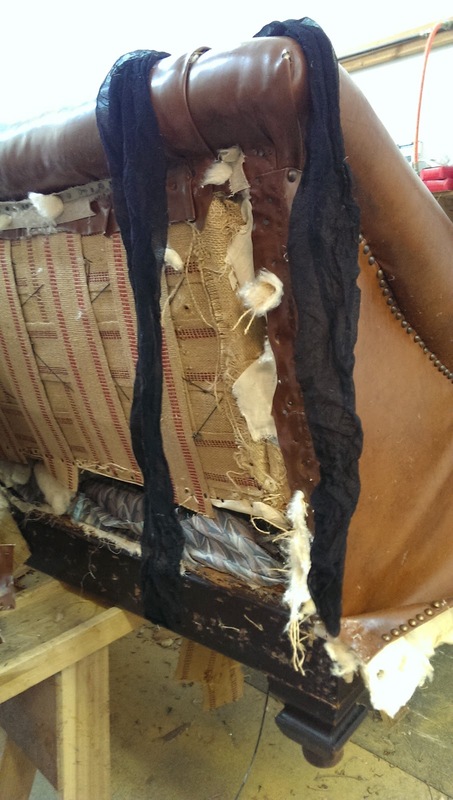 This pair of black stockings stuffed back behind the attached seat cushions completely trumps the confetti and cocktail toothpicks we found in another sofa last month. Ah, if furniture could talk...I'm betting it would have some pretty dirty stories to tell.